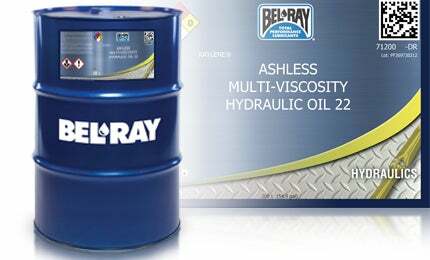 Raylene Ashless Multi-Vis Hydraulic Oil, commonly known as Raylene LT-56 and Raylene Multi-Vis Hydraulic Oil 520, is designed for use in both high and low-pressure hydraulic systems. Raylene Ashless Multi-Vis Hydraulic Oil 46 is a multiple viscosity oil that exhibits the properties of an SAE 5W oil for cold temperature operating conditions, while retaining the characteristics of an SAE 20 oil. It displaces water contamination and separates any condensed atmospheric moisture. Raylene Ashless Multi-Vis Hydraulic Oil has a distinctive colour to make leaks easily recognised for quicker detection. It meets Denison HF-0, DIN 51524 Part 3 (HVLP) and ISO 6743-4 (L-HV) specifications.